So many collections are coming out with a grey colourways at the moment and I totally approve. It is a great 'mixer' of a colour, complimenting every other so well. Another giveaway? I know, I'm going nuts. This week you can head over to Karen at Blueberry Park and win yourself a full Simpatico bundle from Cloud 9 Fabrics. Meg at Sew Liberated Patterns has just brought out two cracking new designs. The Ashland Dress is new in this week. A fantastically versatile dress that works equally well in a summery print (for all this sunshine we are having!) and a winter wool. The MOST brilliant thing about this dress is that as well as including pattern pieces for (US) sizes 2-20, it also has pieces for A-D cups. So you can get a great fit 'up top' without he headache of bust adjustments... What a great idea!! My fabric pick for this dress would be the 'Minty Straws' from Cloud 9 Fabric's new Simpatico collection. And, we've had the Paloma Tee, Tunic and Dress in the shop for a couple of weeks now and it is already set to be a favourite. The Tee is one of those wardrobe items that is comfortable and casual, but elegant enough to dress up. And, a hugely flattering shape. The fact that it has options for a tunic and a dress is a great bonus. 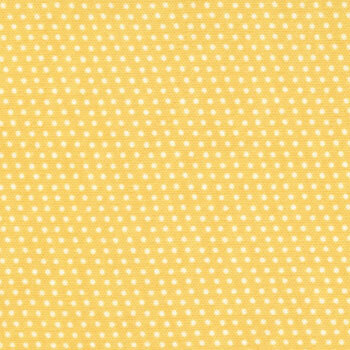 How about trying the Paloma with this yellow Cafe Dot interlock knit that we have in our clearance sale. Remember that until Tuesday 17th July we have Ellen Luckett Baker's Quilt Blocks collection on flash sale at 15% off. Head over to the shop now for a once-in-a-lifetime, limited-period-only, get-it-whilst-it's-hot FLASH SALE!! We've put the Ellen Luckett Baker (of The Long Thread) Quilt Blocks collection on sale at 15%. This is only running for a limited period, so don't miss out on this favourite from Quilt Market. Whilst we are talking sale, we have a whole stack of bargains in clearance at up to 20% off: Oliver+S fabric, Anna Maria Horner, Dena Designs, Hoodie, Erin McMorris, Lotta Jansdotter, as well as some Cloud 9 and some Oliver+S patterns. Go get 'em tiger... we need the space for all the exciting new things! I am so excited about Cloud 9 Fabrics latest range. I have been looking forward to this delivery for an unhealthy length of time. So I'm very pleased to announce that Simpatico is now here and on the shelves at Backstitch HQ. Simpatico is a collection of summery pastel prints designed by Cloud 9 co-founder Michelle Engel Bencsko and are to die for. Even the colour names are brilliant: peachy, minty, pinkish and golden. Of course these cottons are the premium quality organic of the sort that we now know to expect from Cloud 9 - silky and strokable! And, equally brilliant for quilting and dressmaking. We have the entire collection of twelve prints in the shop and also a fat quarter bundle of all twelve.